Nut Meringue Cookies. 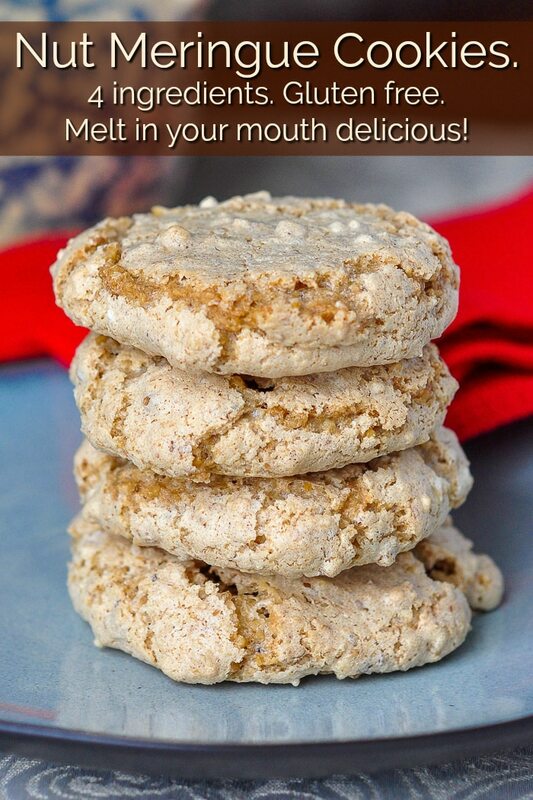 4 ingredient gluten free, melt in the mouth delicious! Nut Meringue Cookies. A 4 ingredient gluten free, melt in your mouth cookie that’s the perfect use for leftover egg whites too! Today’s cookie could not be simpler and is a real treat for those who love sweet meringues and crunchy nuts. 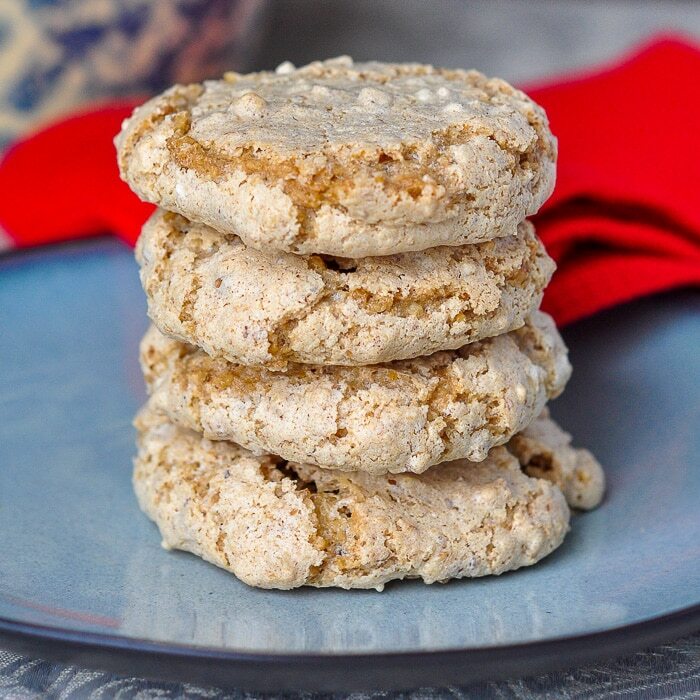 I’ve used ground hazelnuts in the cookies pictured but you can substitute any nut you like. It’s also the kind of recipe that I like for using up odds and ends of nuts I already have on hand. 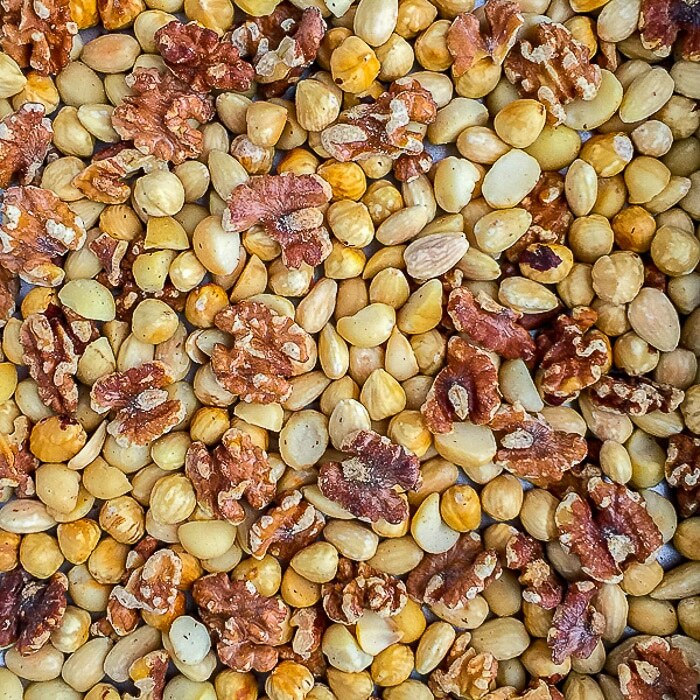 That comes in particularly well after the holiday baking season, when that surplus of nuts always seems to happen at our house. Hazelnuts, almonds, macadamia nuts, walnuts and pecans. Use any you like or any combination you like in this recipe. This recipe is also my secret weapon for using up leftover egg whites from other recipes, like making lemon curd. In only a few minutes, with very few ingredients, I can have a batch of these in the oven. These cookies seem more like candy and will melt in your mouth with a crispy sugary exterior and a slightly chewy interior when baked just right. 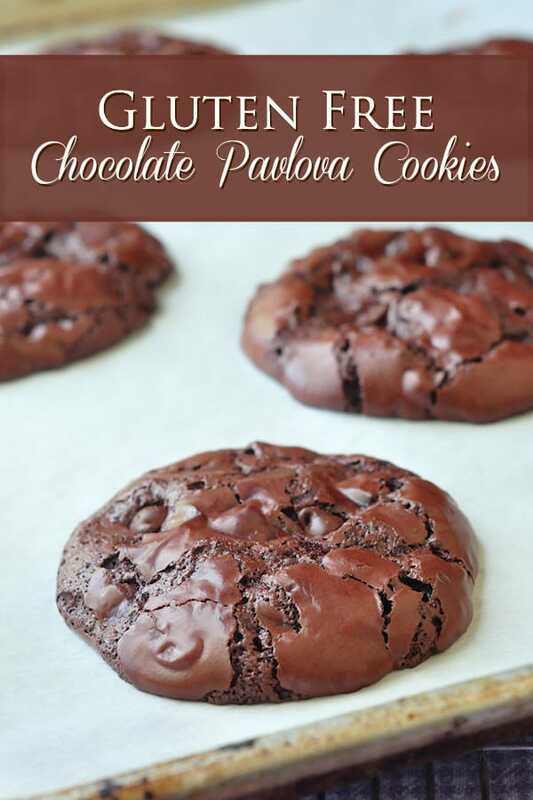 If you liked this recipe, you’ll probably also love our Gluten Free Chocolate Pavlova Cookies. Like this Nut Meringue Cookies recipe? Nut Meringue Cookies. A 4 ingredient gluten free, melt in your mouth cookie that's the perfect use for leftover egg whites too! Beat the egg whites and vanilla to soft peaks. Slowly start beating in the sugar a tablespoon at a time until all the sugar is incorporated and the meringue is light and fluffy. Very gently fold in the ground nuts. Drop by heaping teaspoonfuls, 2 inches apart on a parchment lined baking sheet. Bake at 350 degrees F for 15 minutes until golden. Let rest on the sheet for 10 minutes before transferring to a wire rack to cool completely. Because meringues don't like humidity, I don't think these would freeze particularly well. These cookies are light and delightful. What a great way to use up ground pecans from other holiday baking. Will definitely be making these again and again for a simple quick treat. Five stars.